If you’ve been on the blog at all recently, you’ll have seen my #3GoodThings posts and know that I’ve been reading The Happiness Advantage of late. The author, Shawn Achor, dedicates an entire chapter to the notion that the ability to control our environment (more importantly, the impression that we control it), is a major factor in both cultivating happiness and personal success. of which you give up a good measure. So before you even get to the field… you have to have wrestled with these things. When you get to the field, missions can involve losing even more control. 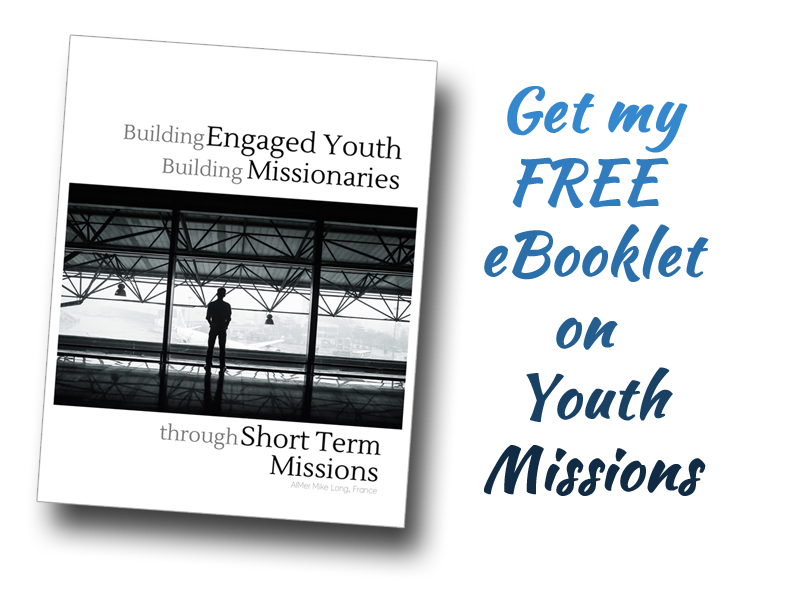 – health challenges (this doesn’t affect missionaries more than people at home, but it can be felt more accutely when living “away from home”. Conventional wisdom (and Achor’s book) says that what could be a gradual accumulation of small stresses or losses of control can lead to a lack of happiness, satisfaction and even overall performance. Lack of control can be experienced as a form of acute or prolonged stress that can, in turn, have health implications (whether physical health or mental health). Ouch! Are missionaries (short-term or long-term) setting ourselves up for unnecessary stress and even health issues? The Holy Ghost: When we find ourselves in a“situation” and don’t know how to proceed, how to respond, how to react or move forward, Luke 12 reminds us that the Holy Ghost will teach us what to say or at the very least, will remind you what Jesus already said (John 14.26). When the anxiety associated with a loss of control comes knocking at your door, remember who you serve and who called you to missions in the first place. He is faithful and is able to do exceedingly, abundantly above all you can ask or think. Be it a call to missions or simply, a call to become a Christian or a call to live as a Christian in a secular environment… all involve being willing to yield control. All involve giving our preferences, priorities and propensities at least, a second thought. Sometimes, they involve much more. Jesus doesn’t try to hide it. He tells us that this will be part of living for him. It’s not whether we’ll lose some control, but how we’ll respond to that loss that either reveals our reliance on ourselves, on others or on Him. in a context of missions. Want to read more on STM? the control issue is very real-I see what it does to someone to try to control every detail of life and of course this never works. hen they are disappointed and feel guilty- Maybe I practiced some of this too-but I gave up years ago and it was a beautiful thing to let God-and stop trying to “help Him” haha!